This week’s Noted! begins with an experience I had when landing in Paris a few years back. The lack of toilets along the route to our Airbnb, combined with my obsessive need, to stay hydrated meant that by the time I got to the bathroom I was nearly delusional. Finally, the moment had come to reach for the toilet paper and… it was pink! Fortunately, I hadn’t completely lost my marbles, and I quickly learned that in France, there really is pink toilet paper! Toilet paper is made from recycled wood pulp which is usually a grey colour in its natural state. Often it’s bleached to varying degrees to make it more appealing but an alternative to bleaching in the past, was to dye it. In the 50s coloured toilet paper first started appear. People would use it as a decorating statement and match it to their bathrooms or just have it around for fun. It really took off in the 60s and 70s but started to lose popularity in the 80s and 90s. 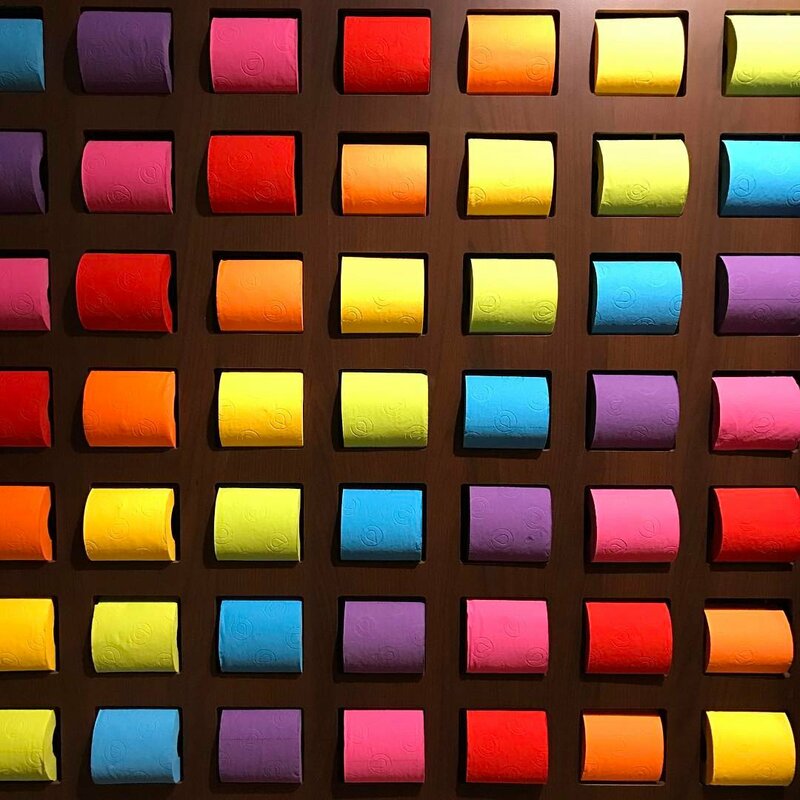 Bathrooms were being renovated to more neutral colours so people had less of a desire to purchase flashy coloured toilet paper that would disrupt the calm ambiance of their new throne rooms. There were also environmental and safety concerns being raised about the dye used to colour the paper. 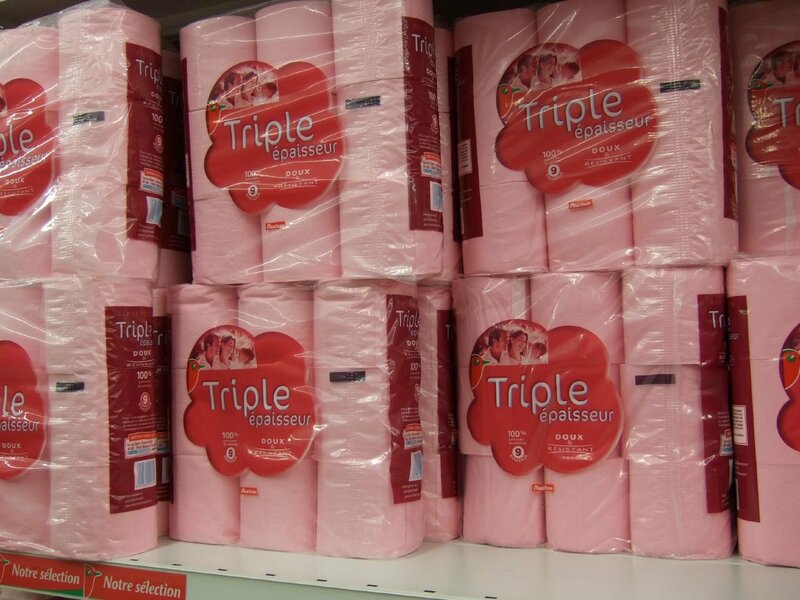 There’s no clear explanation as to why the pink toilet paper trend stuck around in France, but some people think it may be a cheaper alternative to bleaching, it looks calming or it’s just the french way of not letting other people tell them what to do. Nowadays, the pink toilet paper in France isn’t as common as it was in its heyday but you can still find it in stores, public restrooms and in unsuspecting travelers Airbnbs.